Edwige Feuillere in "La Part de l'ombre"
The illustration of her depends on "Edwige Feuillere, 1907 - 1998 french postcard by S.E.R.P. Paris, Studio Harcourt", original photo you can see here. 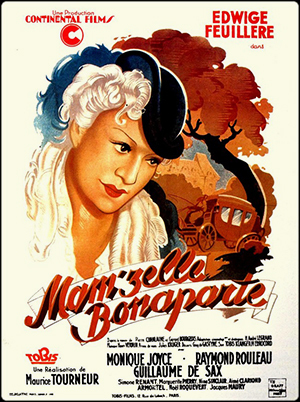 The movie "Mam'zelle Bonaparte" 1941 directed by Maurice Tourneur. Edwige Feuillere acted as Cora Pearl, the courtesan the heroine. 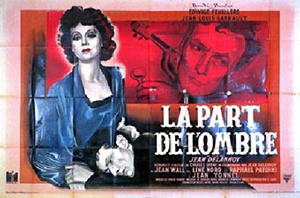 The movie "La Part de l'ombre " 1945 directed by Jean Delannoy. Edwige Feuillere acted as Agnes Noblet, the heroine. 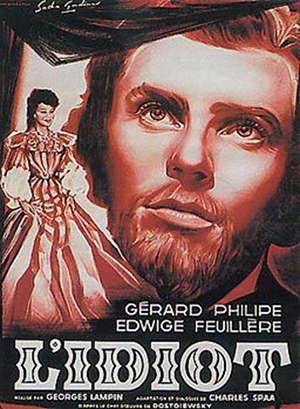 The movie "L'Idiot " 1946 directed by Georges Lampin. Edwige Feuillere acted as Nastassia Philipovna, the heroine. 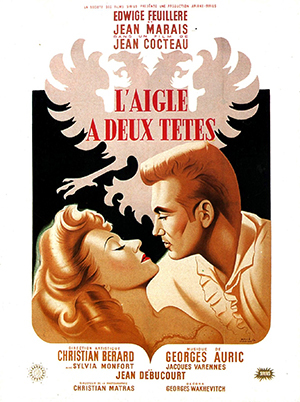 The movie "L'Aigle a deux tetes " 1947 directed by Jean Cocteau. Edwige Feuillere acted as La reine Natascha, the heroine. 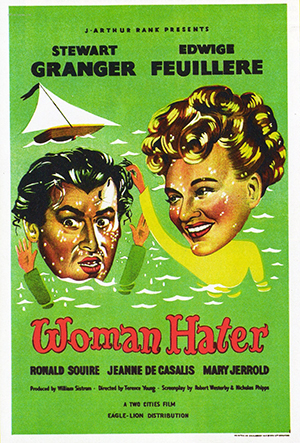 The movie "Woman Hater" 1948 directed by Terence Young. Edwige Feuillere acted as Colette Marly, the heroine. 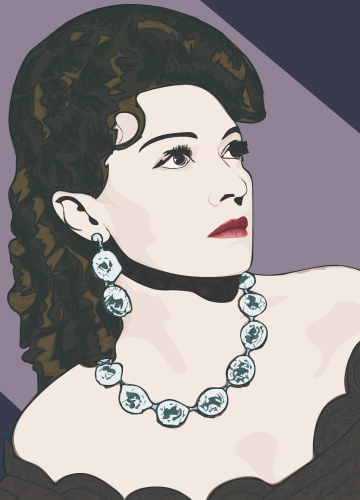 It is said that Edwige Feuillere was the first lady on French Films In 1940s.